The start of the new GOP-controlled Congress brings with it new faces to key congressional committees that hold sway over a variety of issues impacting advisors. Rep. Jeb Hensarling, R-Texas, resumes his spot as chairman of the House Financial Services Committee, while Rep. Scott Garrett, R-N.J., also retains his post as head of the committee’s Capital Markets Subcommittee. Both lawmakers vow a full court press on introducing bills to roll back the Dodd-Frank financial reform law (despite the fact that President Obama vows to veto them if they reach his desk). Hensarling and Garrett also recently nixed the likelihood of passage this year of a House bill that would allow the SEC to collect user fees from advisors to fund their exams. However, industry trade groups will continue to lobby for introduction of a bipartisan user-fees bill in the Senate. Such backers may likely come from the Senate Banking Committee, which is now headed by Sen. Richard Shelby, R-Ala. The Senate Banking and House Financial Services committees share oversight responsibilities for the SEC. The House Financial Services Committee’s 2015 oversight agenda, released in mid-January, said the committee will “review the SEC’s regulation and oversight” of broker-dealers and investment advisors, as well as how the SEC is spending taxpayer’s money. “We will do everything within our power to make sure the agencies under our jurisdiction treat the funds that are appropriated, the funds they have at their disposal, taxpayer funds—that they treat them with respect. It is not Washington’s money; it’s the taxpayers’ money,” Hensarling said. 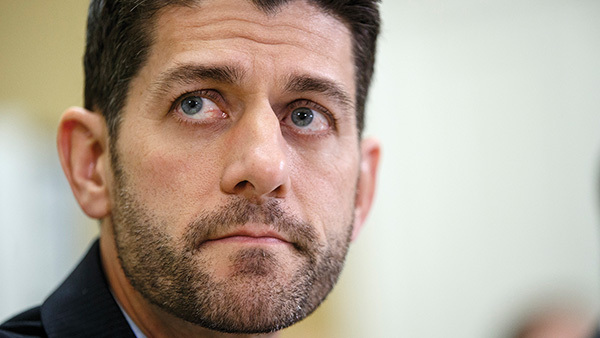 Rep. Paul Ryan, R-Wis., is the new chairman of the powerful tax-writing House Ways and Means Committee. At a mid-January hearing, Ryan said that his committee will be “command central” leading the charge on some of the “biggest issues” facing the nation’s economy: tax reform, trade agreements and health care. Like new Senate Finance Committee chair Sen. Orrin Hatch, R-Utah, Ryan will push for legislation to reform President Obama’s health care law. Both Ryan and Hatch’s priorities also include “comprehensive” tax reform. Hatch’s committee has the largest jurisdiction of any committee in Congress, overseeing more than 50% of the federal budget, and has jurisdiction over tax, trade and health care policy. Hatch takes over the chairmanship from Sen. Ron Wyden, D-Ore., who will become the committee’s ranking minority member. Comprehensive tax reform “is essential if we’re going to get our economy moving again,” Hatch said during a mid-January speech at the U.S. Chamber of Commerce. Wyden and Hatch appointed in January leaders to five tax reform working groups and tasked them with studying various areas of the tax code to offer proposals for reform. The five working groups are: Individual Income Tax; Business Income Tax; Savings and Investment; International Tax; and Community Development and Infrastructure. Hatch will be also be looking to halt progress on the Department of Labor’s rule to amend the definition of fiduciary under the Employee Retirement Income Security Act. He said in mid-December that he plans to reintroduce in 2015 his Secure Annuities for Employee Retirement (SAFE) Act, which includes language that would stop the DOL from writing fiduciary rules for individual retirement accounts. Other important committees are House Education and Workforce, which is chaired by Rep. John Kline, R-Minn., as well as the Senate Health, Education, Labor & Pensions (HELP), which has oversight of the DOL and is now chaired by Sen. Lamar Alexander, R-Tenn.